Moths seem to appear out of nowhere. They are seldom discovered until their damage has already been done. 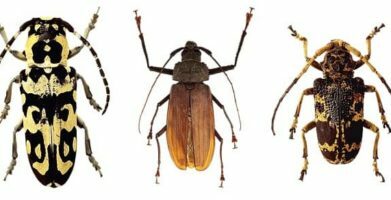 It is hard to implement pest control for moths because they are so difficult to detect. Traps are commonly used for pest control. Sticky traps leave you with the problem of having to dispose of dead moths. This can be disgusting and frustrating since it does not address the real problem. Although you may catch adult moths in these traps, it is their larvae that do the damage. 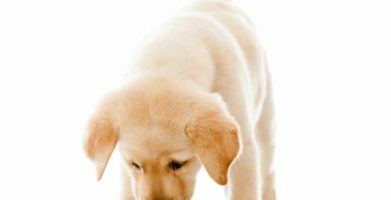 Although conventional pest control typically involves poisons, the risks to human health of using toxic chemicals on clothing, bedding, and other fabrics are far too great. Because moths are attracted to items that people have a great deal of exposure to and close contact with, poisons are not advised when trying to control these pests. Prevention is the best way to deal with destructive moths. Stay Away® Moths is a better method of pest control for moths. Stay Away® Moths comes with a satisfaction guarantee. 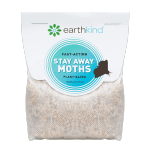 Earth-Kind, Inc., the makers of Stay Away® Moths, has a proven track record of testing, re-testing, and proving that their products are effective. Their products have high rates of repeat purchase by customers like you, and are guaranteed to work. There are no safety warnings for Stay Away® Moths because there are no known hazards of using this product. When used as directed, Stay Away® Moths does not present any health or safety risks to humans, animals, or the environment. 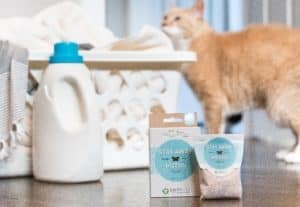 You will not need to worry about small children or pets finding the Stay Away® Moths pouches, because the ingredients are harmless to humans and animals. There are no messy traps to clean up and no dead moths to dispose of. The moths simply leave any area where Stay Away® Moths pouches have been placed. 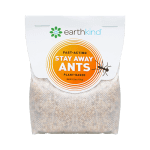 Stay Away® Moths is made of botanical ingredients – geraniol, geranium and cedar essential oils are the active ingredients, and the remainder of the patented formulation is made of plant cellulose fiber from corn cob chips and sunflower oil as a carrier oil. The fragrance of Stay Away® Moths is pleasing to humans, but it signals moths to avoid the area. When moths detect the scent of Stay Away® Moths, they find another place to lay their eggs. Moths seem to appear out of nowhere. They are seldom discovered until their damage has already been done. 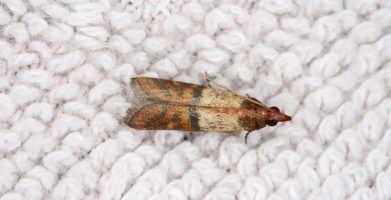 It is hard to implement pest control for moths because they are so difficult to detect. Stay Away® Moths is a better method of pest control for moths. Stay Away® Moths comes with a satisfaction guarantee. 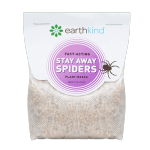 Earth-Kind, Inc., the makers of Stay Away® Moths, has a proven track record of testing, re-testing, and proving that their products are effective. Their products have high rates of repeat purchase by customers like you, and are guaranteed to work. The fragrance of Stay Away® Moths is pleasing to humans, but it signals moths to avoid the area. When moths detect the scent of Stay Away® Moths, they find another place to lay their eggs. string(30) "Natural Pest Control for Moths"